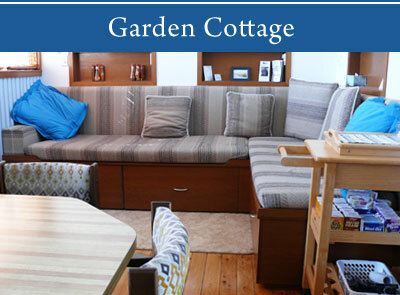 6 fully self-contained B&B cottages & homes, from 1 bedroom to 6 bedrooms. 1 off-site serviced apartment. Our facilities include a children’s animal farm, chip’n’put golf course, fresh seasonal vegetables, wine tours and relaxing picnic spots throughout! And the bonus! We’re in town on 9 acres of ‘private’ river-side parkland. Looking for accommodation in Mudgee? 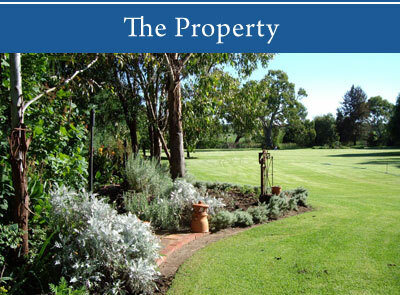 Mudgee’s Getaway Cottages offers you 7 beautiful homes and cottages on 9 acres of gardens & rural parkland. Just a short walk to town to enjoy shopping and restaurants. All cottages and homes are fully self-contained, each offer different bedroom and bathroom facilities and rated accordingly. And what do you bring? – Only your personal items. We leave sufficient for your stay and provide a top-up if you run out of any items. With only a short drive to wineries, an easy walk to town amenities and everything provided, you’ll want to come back again and again. “Easily exceeded our expectations by far. 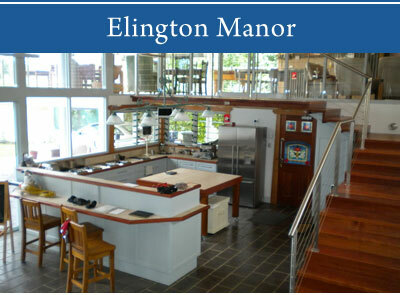 A most delightful & enjoyable spot in wonderful surroundings. Probably among the best accommodation we have ever had.